Dr Aidan Stonehouse (back row, centre), Outreach Manager at Remembering Srebrenica, reflects on his visit to Srebrenica. In April I participated in a short, but powerful Lessons from Srebrenica visit, in my new role as Remembering Srebrenica’s Outreach Manager. Minister for Communities and Local Government, Stephen Williams MP (front row, second from the right), led the delegation, which brought together future leaders from across the UK. I knew of the terrible events that had occurred at Srebrenica and given my professional expertise in ethno-religious conflict, I was keen to hear more from survivors and relatives about the impact of the violence and its continued effects. I was very aware of both my professional and personal commitment to listen to these voices, and to raise awareness in the UK of the Srebrenica Genocide. As such, I felt a powerful urge to take in every possible detail of our journey. In the end, and despite feverish preparations, I was unprepared for the sheer scale of the atrocities committed. The recollections of an elderly returnee to Srebrenica drove this home starkly. He began a moving discussion of his own experiences by noting that it had been many years since he had seen so many men in one place. There was a quiet anger and sadness in his voice, which has left a lasting impression. 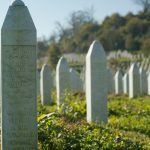 Our charity undertakes its Lessons from Srebrenica visits to ensure that personal stories such as these are not forgotten. In doing so we raise awareness of the need to tackle intolerance wherever it is found, to avoid a terrible repetition of past crimes. Motivation to achieve this also came from another quarter, namely the difficult but vital work of the International Commission on Missing Persons (ICMP). The ICMP locates Bosnia’s missing, and returns identities to those buried in mass graves, or more accurately, those often buried across a number of mass graves. Its harrowing, complex, but ultimately successful work highlighted the impact that a committed programme can make in fighting injustice, even in the worst of circumstances. 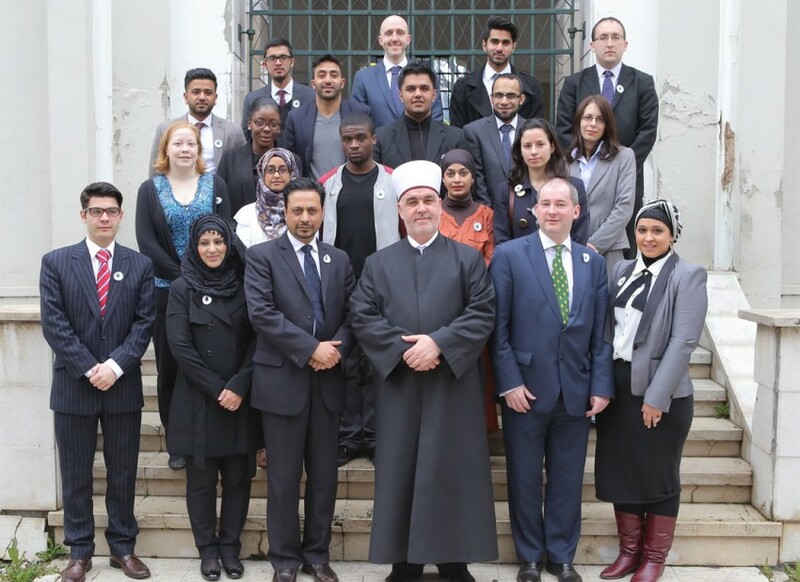 As we work hard to move forward with our programme, the words of the Reis, Grand Mufti of Bosnia (front row, centre), will be foremost in my mind. Speaking eloquently and calmly on the necessary, but difficult process of reconciliation, he underlined Bosnia and Herzegovina’s prior history of integration and urged our own delegation of young leaders to be both vigilant against hatred in all forms and to work hard to promote co-operation and understanding. As an organisation it is essential that we do all we can to assist UK leaders of all faiths and backgrounds to do just that. As outreach manager, I intend to facilitate this in any way that I can.